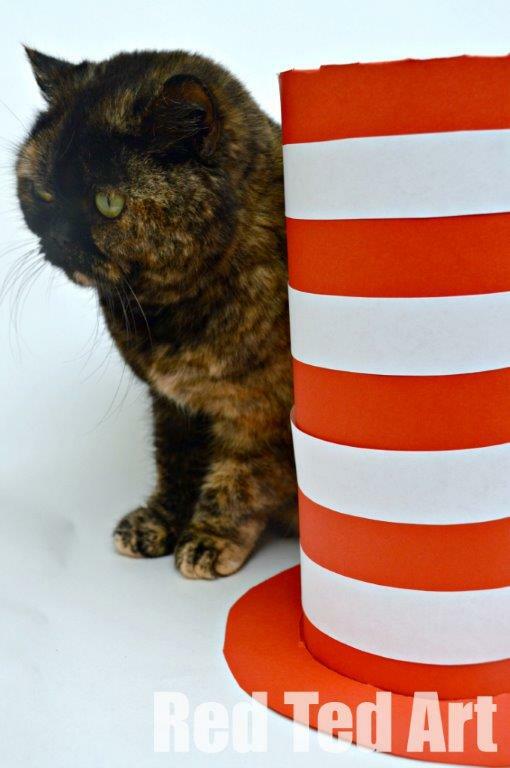 A Quick Cat in the Hat HAT! 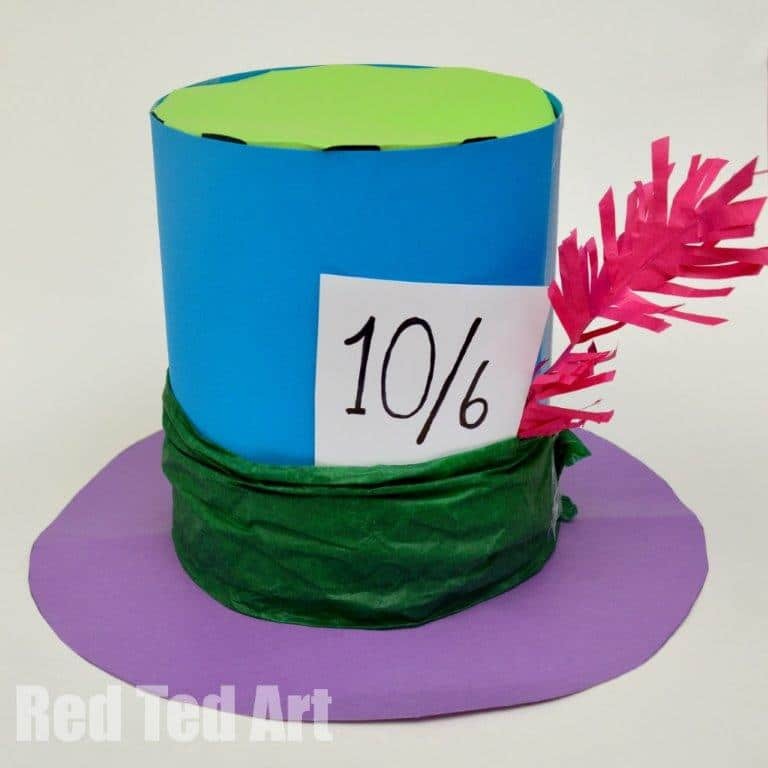 Here is a quick craft for you – a Mad Hatters Hat or a Cat in the Hat Hat a perfect Quick World Book Day Costume Idea…. 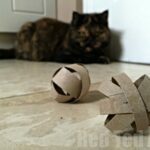 we have been waiting to share this easy craft since the Summer. 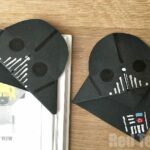 We went to the Wilderness Festival and the lovely people from the Charles Dickens Museum in London, were making these simple paper hats with the kids. 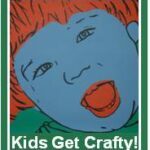 What impressed me the most, was that they were working with large groups of kids of all ages and they managed to make this a fun and relevant craft. So theirs was a Charles Dickens Hat…. we call it our Mad Hatter Hat… and then I decided it would work REALLY well as a Cat in the Hat Hat too. 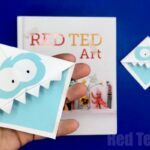 I share a video below… and you can see how SUPER quick and easy they are to make. You may also like our Dr. Seuss Bookmark Corner. 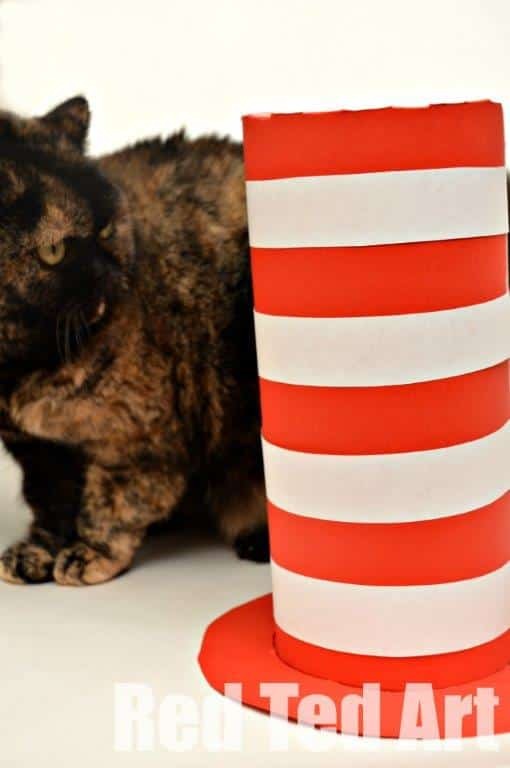 For the Cat in the Hat Hat, we used 3 sheets of A4 card, some white paper and tape. 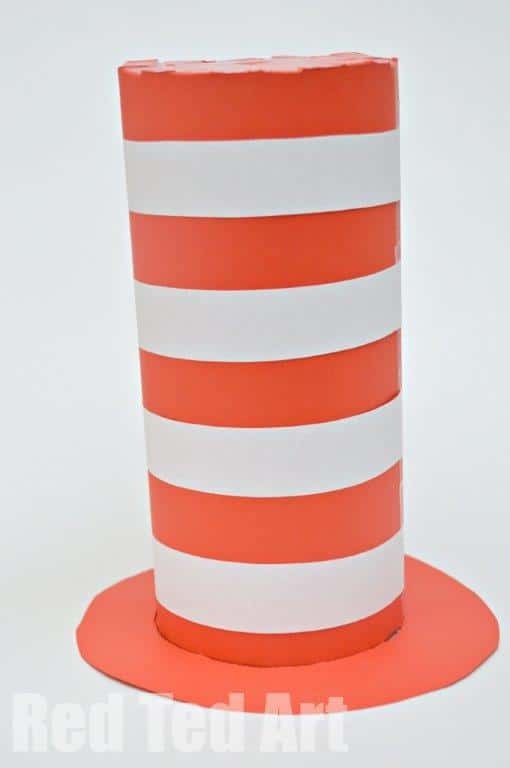 Surely, this is must for all Dr Seuss fans?! 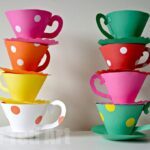 For the Mad Hatters Hat, we used 5 sheets of A4 card (taped together to make bigger surfaces) in various colours + tape. 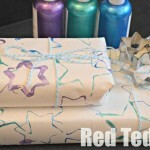 And then pieces of tissue paper to decorate! 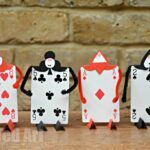 These would make a great party activity for an Alice in Wonderland party! 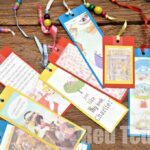 If you like the look of the bookmarks shared in the video – take a look at our World Book Day Bookmarks post! I couldn’t resist a quick photo with the cat… not sure she was that impressed ha! Will add pictures of the kids ASAP. If you love Cat in the Hat and Dr Seuss, do check out these Dr Seuss Coloring Pages! Fun.